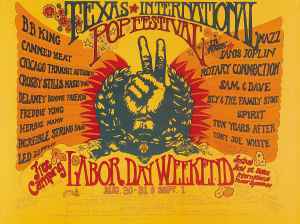 The Texas International Pop Festival was a music festival held at Lewisville, Texas, on Labor Day weekend, August 30 to September 1, 1969. It occurred two weeks after Woodstock. The site for the event was the newly opened Dallas International Motor Speedway.